NEW YORK (Reuters) - Global oil majors Chevron Corp and Royal Dutch Shell Plc are putting small refineries on the auction block as they look to trim lower-margin assets in the face of headwinds from rising crude oil prices. 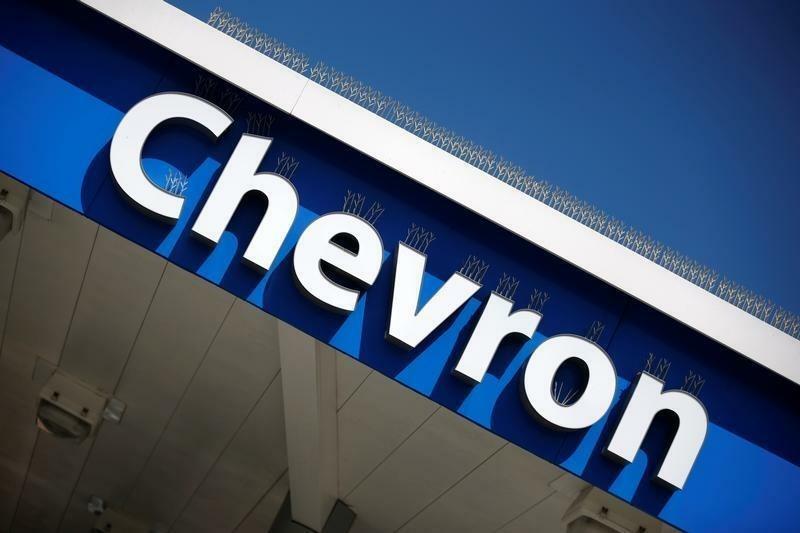 Chevron, the second largest U.S. oil company, is soliciting interest in its Burnaby, British Columbia, refinery and gasoline stations, the company told Reuters. Shell is looking for buyers for its Martinez, California, refinery, two people familiar with the situation told Reuters. Shell declined to comment. These two companies, along with peers Exxon Mobil Corp and BP Plc, have sold more than a million barrels per day of U.S. refining capacity in the past three years, according to Stratas Advisors, a Houston-based consultancy. The world's five largest oil majors together still have enough U.S. capacity to refine about 4.7 million barrels per day. Refining profit margins have declined from highs seen in 2015, and the fear is that as crude prices recover from a two-year rout, refiners will be squeezed as the cost of oil rises but the price of gasoline does not keep pace. Selling the plants while margins are still reasonably high allows the majors to exit without a hit to their balance sheets. Chevron also told Reuters it has retained Rothschild & Co to market its 75 percent stake in a South Africa refinery. The fifth oil major, Paris-based Total SA, retained Lazard to sell a 50 percent stake in its sole U.S. refinery, but was unable to secure the price it desired, according to sources. Refining has remained a profitable sector during a two-year oil price rout, so these plants can fetch a relatively higher price than exploration and production assets. Chevron and Shell have the highest cash-flow deficits, said Lysle Brinker, director of equity research at IHS Energy, and so have the most motivation to sell. The two companies have been investing in other areas of their business - Shell plunked down $53 billion to buy BG Group earlier this year, while Chevron has spent heavily on large-scale liquefied natural gas projects. These assets may prove to be a better fit for smaller buyers that focus on particular regions, such as the North American West Coast, or companies that concentrate on global storage and trading, but not oil production. While the majors plan to continue to operate large, profitable refineries that are well integrated with their oil production assets, refineries outside of that footprint are likely to be sold, Brinker said. Chevron's downstream strategy has focused on running large scale refineries that can serve markets in the United States and Asia and on operating petrochemical plants that produce very profitable products. The refinery in British Columbia, however, refines light oil, rather than heavy crude from Canada's oil sands, and its products are distributed in a smaller region around British Columbia and down through Washington state. Selling smaller assets like that is likely something most companies are looking at - or should be - said Mark Routt, chief economist for the Americas with KBC Advanced Technologies in Houston. "Far better to sell it when it's good times than bad times," Routt said. "It's not as good as it was in '15, but it’s still good times." Chevron in April agreed to sell its 54,000 barrel-per-day Kapolei, Hawaii, refinery to a group backed by private equity, and Shell agreed in March to exit its Motiva Enterprises joint venture with Saudi Aramco. Shell is shedding a plant in Texas as a result of the dissolution of that venture. Chevron previously said it would sell its 75 percent stake in its South African unit, which includes a refinery in Cape Town.